Originally I was an adamant detractor towards the original Delta Wing IndyCar concept and took to calling it the Delta Wang! As I just found it too outlandishly radical to suit my dyed in the wool Open Wheel Racing cars signature look... As I cannot say I’m totally enamoured by this year’s Dallara DW12, albeit it certainly seemed more palatable when finally getting to view ‘Hulio’s showcar up close ‘N personal inside the Indianapolis airport’s concourse; although I still think the word Open Wheel means NO rear wheel spats, Batmobile Spats or rearward facing bumpers! So what really is the story behind Project Delta Wing? 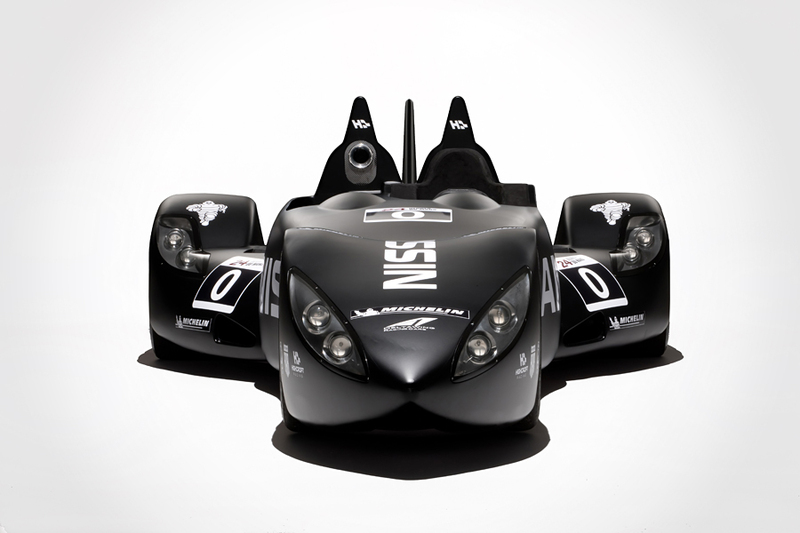 Yet that being said, kudos to all involved in making this a reality, along with Nissan having the gumption to provide its motive power as apparently this “Flyweight” racecar was indeed capable of competing comfortably in the LMP2 category... As now according to Gordon Kirby’s latest article, Don Panoz claims the car will go into customer production and race at this year’s Petit Lemans.